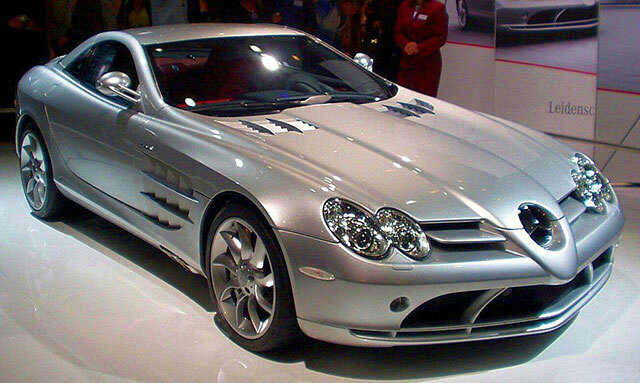 Mercedes-Benz is a global automobile manufacturer that has become synonymous with luxury vehicles. The company was founded in Stuttgart, Baden-Wurttemberg, Germany. Early models have been traced back to Daimler-Motoren-Gesellchaft’s 1901 Mercedes and an 1886 car produced by Karl Benz, the Benz Patent-Motorwagen. The two had produced their own models until 1926, when they merged their companies to begin producing Mercedes-Benz. Today, many people associate the Mercedes-Benz brand with people of high class, leaving the rest of the population to wonder, “Are Mercedes worth the price tag?” If you yourself have ever wondered why Mercedes is so expensive, there are several things you should consider. The Mercedes-Benz logo is a three-pointed star and is said to represent the company’s core values. Like many other luxury brand logos, Mercedes-Benz uses their logo as their promise to deliver their customers “the best or nothing.” Each point is representative of the things the company has stood for in years past, the success the company has seen over the course of its history, and the goals the company plans to reach. The star is also symbolic of the promise to Mercedes-Benz customers that they will receive the innovation, performance, design, safety, and environment that the brand has become known for. If you find yourself wondering, “Are Mercedes worth the money?” consider the facts. Anyone can buy a car from anywhere and claim that it is of the highest quality. In fact, you can even purchase auto parts and accessories online and try to replicate the quality of Mercedes-Benz, but you will never be able to replicate their greatness with another vehicle. You will not find a higher level of craftsmanship in another car-maker. The materials used to create the Mercedes-Benz line of vehicles are second to none. They utilize only the best components to create amazing vehicles. So if you find yourself wondering, “Are Mercedes worth the money?” consider all of the quality parts that were used to make a brand new vehicle. The brand name serves as a status symbol, but that’s not all you get when you purchase a Mercedes. If you’re familiar with the phrase, “You get what you pay for,” you can understand the level of quality you get when you purchase a Mercedes-Benz. The lower the cost of a vehicle, the cheaper the parts were that made that vehicle. In addition to better parts, the way the car handles on the road is synonymous with the price tag. More expensive, luxury cars typically drive better on the road, which is enjoyable to the driver and any passengers. All of these qualities come back to the parts with which the car was made. Mercedes-Benz is a brand that produces its own OEM car parts to ensure quality. If you’re still wondering, “Are Mercedes worth the price?” consider the level of innovation that goes into the creation of these vehicles. One of the many reasons why Mercedes is the best brand of vehicle is for their dedication to innovation. Since inventing the car in 1886, Mercedes-Benz and their team of innovative industry experts have never stopped reinventing the car. The company’s inception set the bar high for the cars that would follow, both in safety and in performance. Mercedes-Benz was one of the first companies to feature fully independent suspension and hydraulic brakes, which made driving safer for all. In the 1950s, the company set a crash testing program into place to further test the safety of their vehicles and find places where they could improve upon in the structure of the vehicle. In the 1970s, the company added the anti-lock brakes, which help a driver to maintain control if they need to stomp on the brakes suddenly. More recently, in the 2000s, Mercedes-Benz created a groundbreaking system that prepares occupants in the vehicle for a collision. The Pre-Safe system activates before an impact, tightening the seat belts and adjusting front head restraints to help keep riders safe. Further still, in 2010, the company unveiled that their cars would be equipped with Attention Assist, which warns a driver to pull over if they exhibit behavior associated with drowsiness. These innovations are part of what makes Mercedes-Benz a unique company that people have come to trust.